Anwar Masood is a great writer of Urdu and Punjabi in Pakistan. He is the author of not only Urdu but his work also includes Punjabi and Persian. His work encircles different fields of writing and different genres as well. His primary field is poetry. In the Punjabi poetry, he got fame as one of the top humorous poets of Pakistan. His humorous Punjabi poetry entertains the people a lot, and the masses enjoy after listening to his funny poems. The people cannot control their laughing when they listen to his comedy poetry in his voice. Anwar Masood is born on November 8, 1935, in Gujrat a renowned city of Punjab, Pakistan. But after his birth, his family moved to Lahore in the same year 1935. He got his early education from Lahore, but again his family returned to Gujrat. He again got admission in the public school of Gujrat to continue his studies where he completed his secondary education. After completing his early and secondary education, he got admission in Zamindara College, Gujrat from where he completed his degree of Bachelor. Later, he came to Lahore and got admission in Oriental College, Old Campus, and the University of the Punjab. Here, he earned his master degree in Persian in 1961. He got the first position in his session and got a gold medal. After completing his master, Anwar Masood started to teach as a teacher. He started his career from Government Islamia High School, Kunjah Punjab but with the passage of time continued to teach in different colleges in Punjab during 1962-66. Anwar Masood also has been a member of visiting teachers in GC University in the Department of Humanities. He retired as a teacher in 1996. As it has been explained that Anwar Masood is a multilingual poet, but out of all languages, his Punjabi poetry is very prominent. His Urdu poetry is also well appreciated. The whole of his poetry gives us a lesson about our social lives because his poetry directly links with the straightforward and pure culture of Punjab. If anyone wants to know about the essential features of Punjabi culture, he/she must go through the poetry of Anwar Masood. Due to his honest and pure thought-provoking poetry, Anwar Masood is very appreciated by the masses of Pakistan. His poetry inspires the readers to learn something. It influences the thoughts of all people. There are some poets whose poetry is understood only by the literary community because there are multiple terms and conditions used by the poets that are not known by the middle thinking people. But on the other hand, the poetry of Anwar Masood is understandable even by the uneducated people because his work is elementary. The particular terms and examples used Masood are also taken from the Punjabi culture that even an ignorant person can easily understand. Here are some famous Punjabi poetry written by Anwar Masood that took him to the peaks of fame. These lyrics later became his recognition in Pakistan as well as in the other communities. Some of his prominent lyrics which includes in Mela Akhian Da are following. 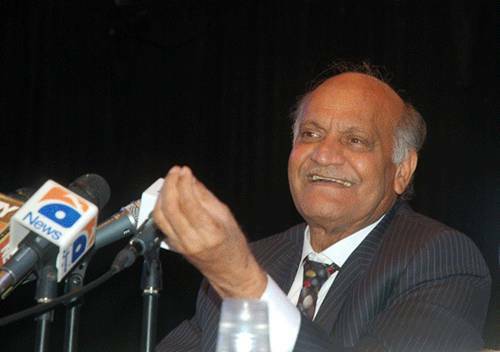 Anwar Masood has performed and spoke in the live shows in Pakistan as well as in the international community. He got the satisfaction of the host and the audience simultaneously. Last time, participated in “Mazaq Raat” a live comedy show and read his Punjabi poem “Aj Ki Pakaiye” and the whole of the gathering was clapping and giving compliments to Anwar Masood. He is also brilliant mind person that one of the hosts asked him that now a day’s our country is facing the problem of 32. He at once explained yes you are talking about electricity. At last, I hope you liked the books and biography details of Anwar Masood. You may also like Muhammad Mansha Yaad life and his novels. These are the titles of his poems, not books. The poems (Lassi Te Chah, Ambri, Anarkaili Diyaa Shanaan, and Jehlum De Pul) are included in the book titled “Maila Akhian Da”. I am interested in the Persian Poetry of Professor Anwar Masood. Where can I get it?